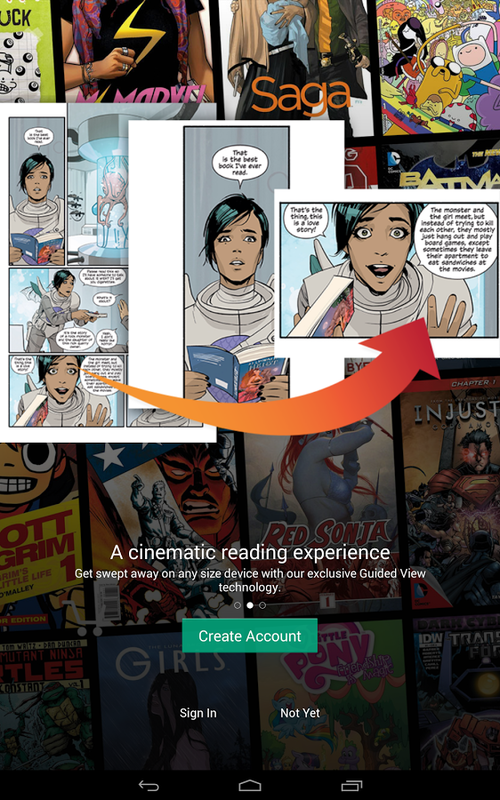 The only comics store and reader with Marvel Comics and DC Comics on Android! The largest digital comic library (over 14,000 comics, over 600 free. Publishers include Marvel Comics, DC Comics, Image, IDW, Archie & many more! Purchases made here can be read on the web, too, at comics.comixology.com!